Wednesday, August 10, 5:00 to 6:00 pm, Edgartown. Join FARM Institute gardener and MV Seed Library member Rebecca Sanders for a workshop on seed saving. At the FARM Institute in Katama, free. For more info call (508) 627-7007. Thursday, August 11, 9:00 to 11:00 am, Chilmark. SMF staff lead a walk through the beech groves and glacial ridges of the Brookside Ridge Preserve. Parking and meet-up will be at the nearby Tiasquam Valley Reservation on Middle Road. More info and directions at website, or call (508) 693-5207. Thursday, August 11 (and 18th), 1:00 to 3:00 pm, Edgartown. 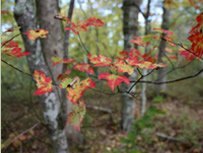 Volunteers needed to help maintain the gardens at Felix Neck Wildlife Sanctuary. Learn about the native plants that sustain the Island's butterflies and birds. Free, for more info, call 508 627-4850. Saturday, August 13th and 20th, 9:30 to 10:30 am, Oak Bluffs. A Felix Neck program that explores a different aspect of Sengekontacket Pond each week. From the birds above, to the creatures below the water's surface, this program includes hands-on activities for all ages. Free, sponsored by Friends of Sengekontacket. Meet at Little Bridge on State Beach, on the pond side. For more info, call (508) 627-4850 or see Felix Neck website. Wednesdays and Saturdays, 9:00 to noon, West Tisbury. Fresh picked produce from local farms, flowers, delicious baked goods and prepared foods from Island kitchens and more. Outside the Grange Hall, near Alley's. If you have a veggie garden at home, odds are that some of the excitement in finding another cuke hiding under the leaves is starting to wane. As the August heat rises, and the pickles accumulate, why not entertain the notion of cucumber dessert? Make up some simple syrup (2 ingredients, 1 step), and then try your hand at some ginger veggie pops, or a minty sorbet. Below, I've adapted the sorbet recipe to common American measures. The simplified steps are 1) make mint simple syrup by heating the water and stirring in mint and sugar, 2) puree the cucumber, then add syrup and puree some more, 3) strain our the pulp, 4) freeze. But make sure to check the link for helpful tips! For over a decade, VCS has sought to further a community conservation about the impacts of “high impact residential development” – or, more plainly, really big houses. The scale of the built environment — the relationship between structures and the natural landscape — is a defining component of Vineyard character. Few people dispute this; however, most also believe that they should be free to live in the home of their choice on their own land. It may be a difficult conversation, but it is a vital issue for the Vineyard’s future, worthy of better than the easy abdication of deliberate planning to the whims of the free market. Now, thanks to the passion and perseverance of MV Film Festival founder Thomas Bena, the issue has been brought out of the local meeting rooms and put up on the big screen for a much wider audience. Twelve years in the making, Bena’s new documentary One Big Home has begun screening this summer, garnering a very positive reception and attracting international attention (a good story, even if The Guardian’s headline is a bit hyperbolic – I am skeptical that the First Family’s “holiday idyll” has been “shattered” by the hubbub). The film is both an exploration of the issues surrounding big houses and the political process that led to the passage of a bylaw in Chilmark limiting home size, as well as a personal story of the complicated and evolving views of the director. One Big Home is showing at the Chilmark Community Center tonight and this Wednesday (the 10th), and again on Monday, Aug. 29th at the Harbor View Hotel in Edgartown (see details). Thank you, Thomas! 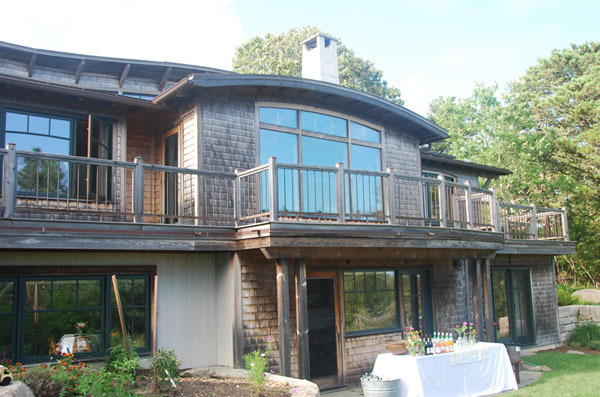 The Davis home in Chilmark, site of last week's VCS Conservator Appreciation Event, is a beautiful example of smart design that respects the landscape rather than dominating it. For more background on the broader issues of big houses, see our testimony to the MVC (page 11 of this newsletter), as well as previous Almanac commentary and supporting technical information. Last month, we gave a brief update on the progress of the Island-wide study of organic waste and composting sponsored by the M.V. Vision Fellowship. The “Composting on the Coast” project, led by Sophie Abrams, Wendi Goldfarb, and Sakiko Isomichi, is off to a great start, collecting food waste from six Island restaurants and producing healthy, valuable compost at Morning Glory Farm. Now there are two ways for the whole community to pitch in and help this pilot project achieve a bigger impact. First, Composting on the Coast has set up a GoFundMe page to raise money for the cause — it’s easy, so donate today! Second, the project is seeking volunteers to help separate food waste at this year’s Ag Fair — a big job, but one that could divert hundreds, even thousands, of pounds of organic material from the garbage. 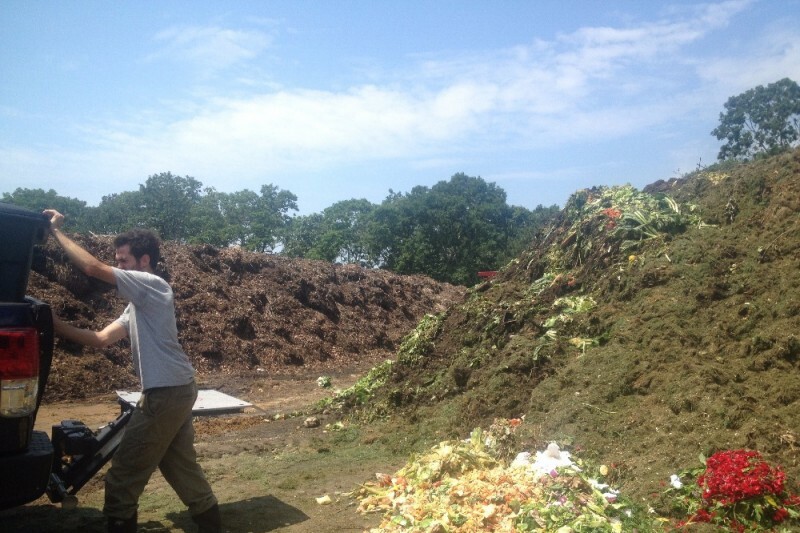 It’s a truly inspiring example of “closing the loop” on our island’s organic material — using the waste from our annual celebration of local agriculture to make the compost that will help nourish next year’s crops. For more information, email Sophie or Wendi. The ultimate vision of the Vineyard Lawn is not merely to replace chemical fertilizers and pesticides with organic products, but to actually reduce the amount of land devoted to mowed lawn grass. Native shrubs and wildflower meadows can be a more attractive landscape, apart from the environmental benefits. With that in mind, it was disappointing to find that the story behind the Boston Globe's "Incredible Shrinking American Yard" has nothing to do with enlightened attitudes about "weedy" wildflowers. No, it's simply that the lawn is shrinking because it now has a house on top of it. Our island has much more open space remaining that the neighborhoods of suburban Boston, but as complete build-out creeps ever closer, a different kind of Vineyard lawn issue — for example, a lack of lawns in the town centers — could emerge.